When it comes to adorning your nails, there are tons of beautiful nail art designs available! One such attractive and out of the box nail art design which is also trending lately is the water drop nail art design. 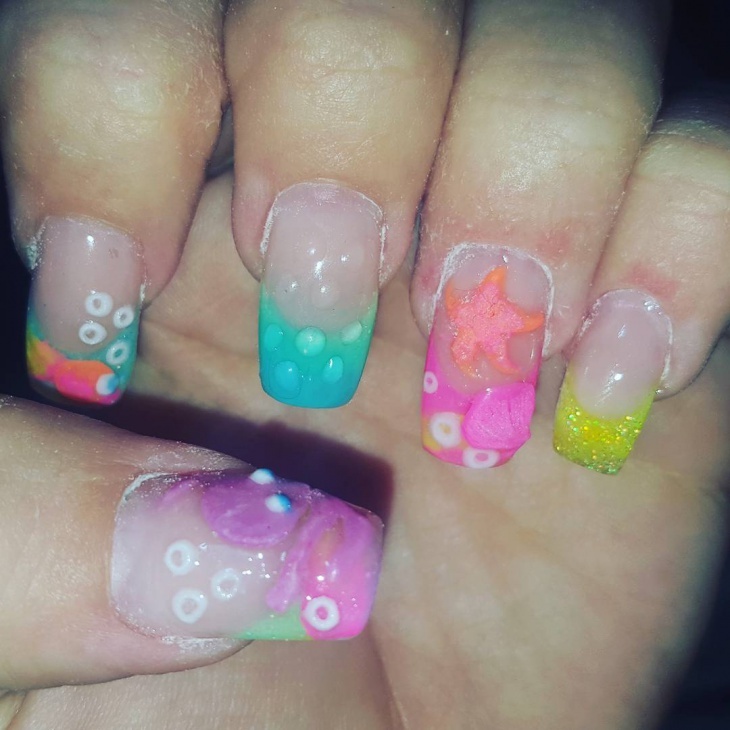 Ranging from tear droplet nails to rainbow nail art, little water droplets sitting pretty in the nails is quite a treat for the Water Color Nail Art lovers. Go grab your best nail colors to create this stunning art effect on your nails. 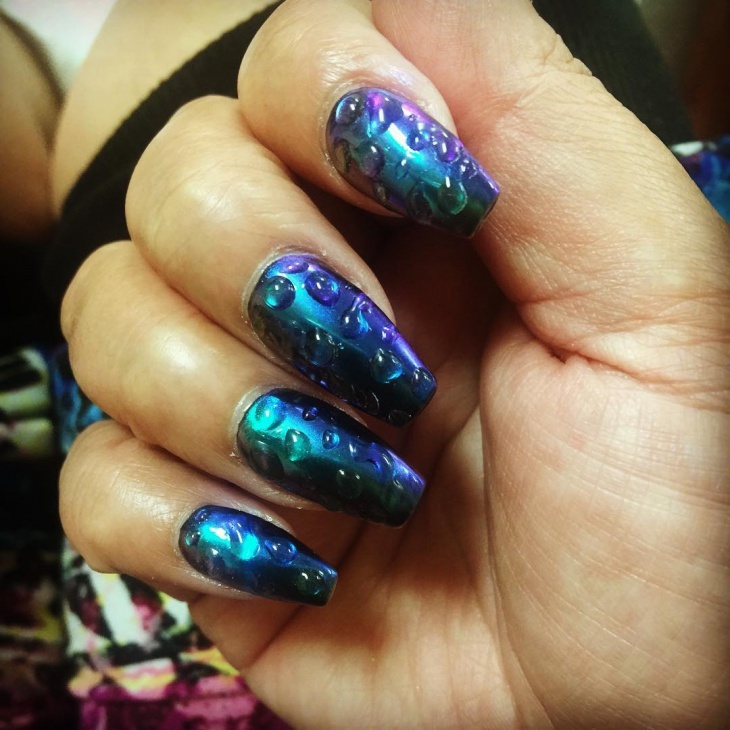 These gorgeous two toned chrome nails in blue and turquoise with a fluorescent purplish touch has dewy water droplets over the nails which have been painted with a transparent nail polish without giving it a double swipe. 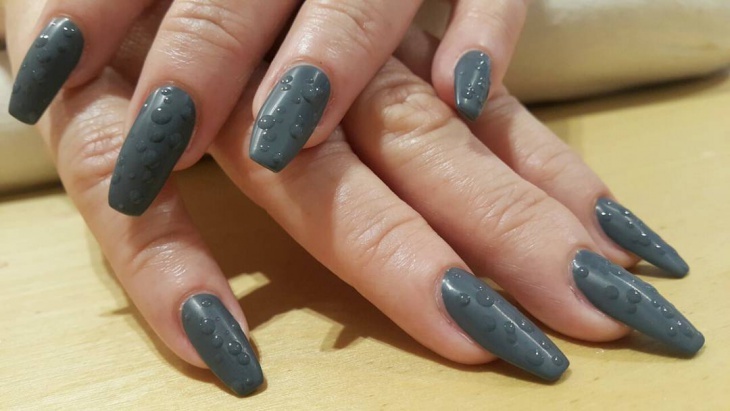 These matte gray nails look like a splash of water droplets have been freshly formed in the nails. It is a very sober color on which the water droplet design has been neatly imprinted with the right nail paints. 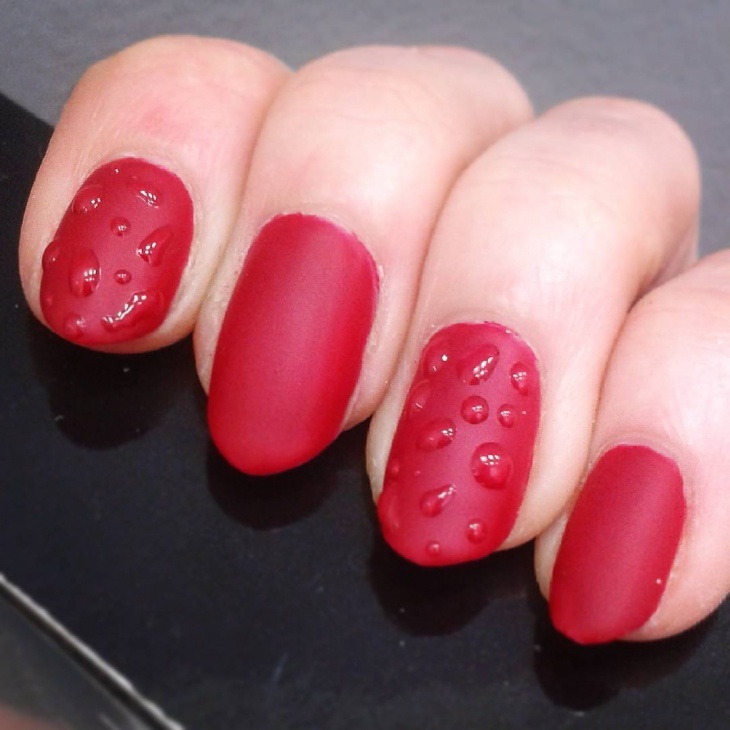 The red matte nails with water drop art are perfection! Out of all the five fingernails, only the two have been painted with water drops which make the nails look even more natural. It does not have any design except for the drops. 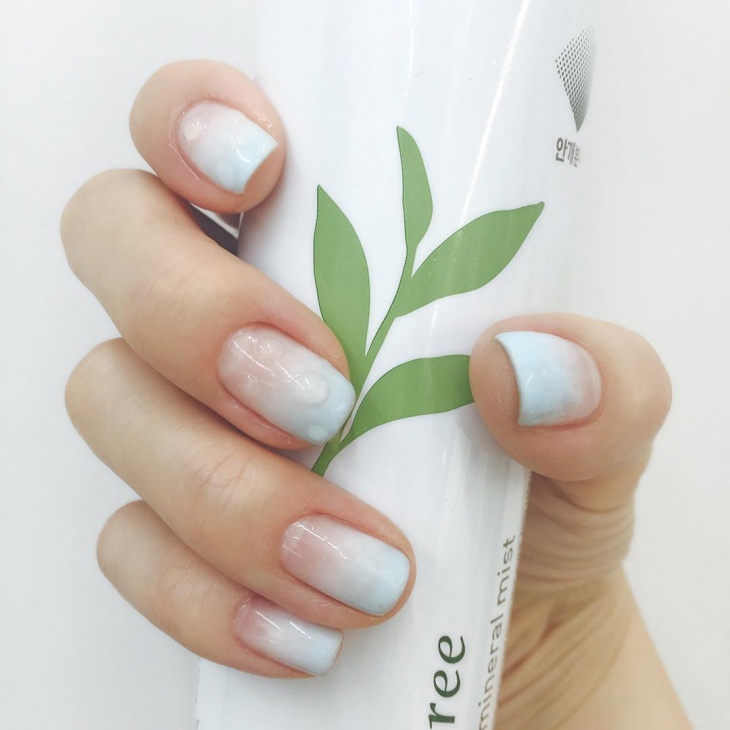 These half bubble water drop nails on pastel shades of French manicure is very subtle and elegant! Almost all the nails have the droplet designs ranging from one to two drops. 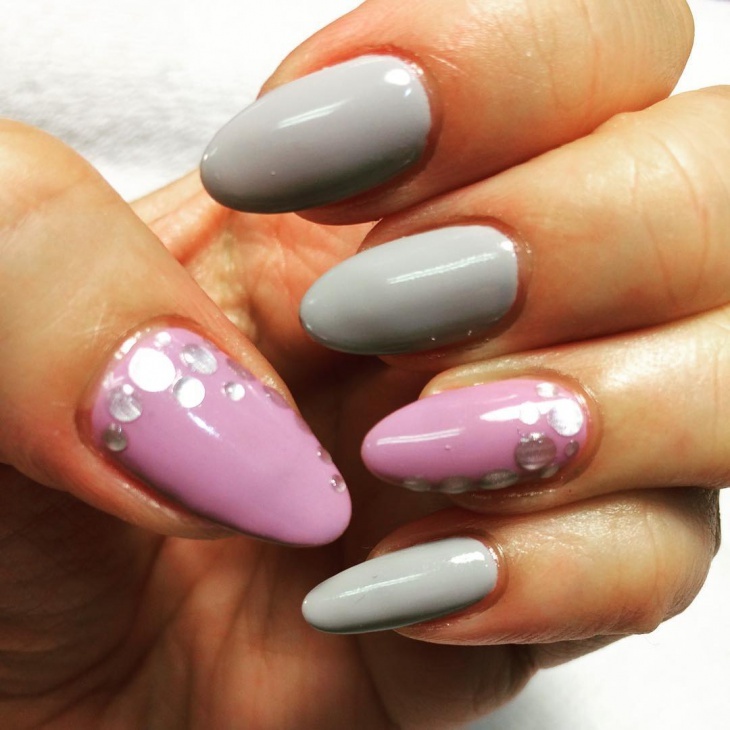 The pastel fever has totally taken over the fashion field including nail art designs. 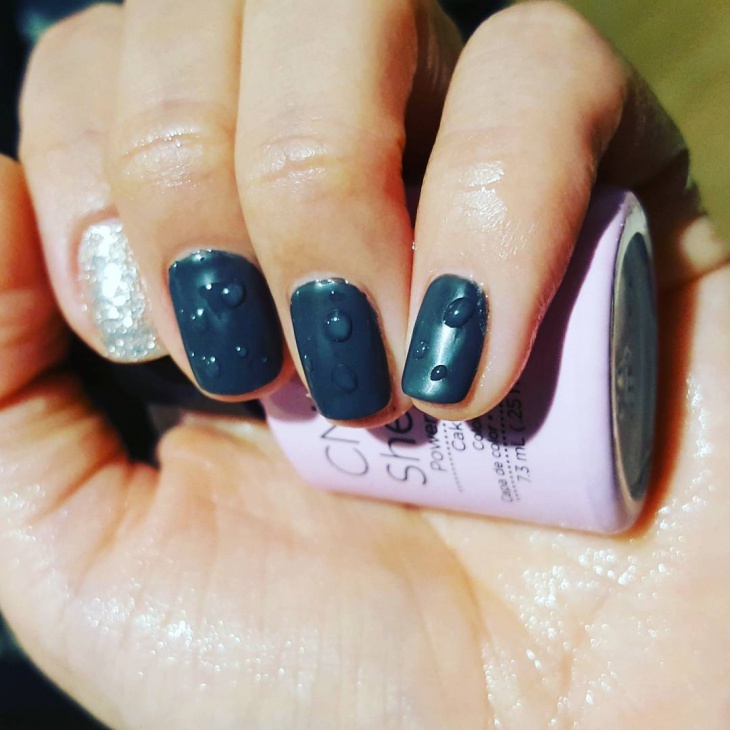 These rustic finished nails with gray and mauve have a splatter of water drops design over them. The pastel rustic finish is beautiful and adds a lot of naturalness in them and is absolutely a rocking design. 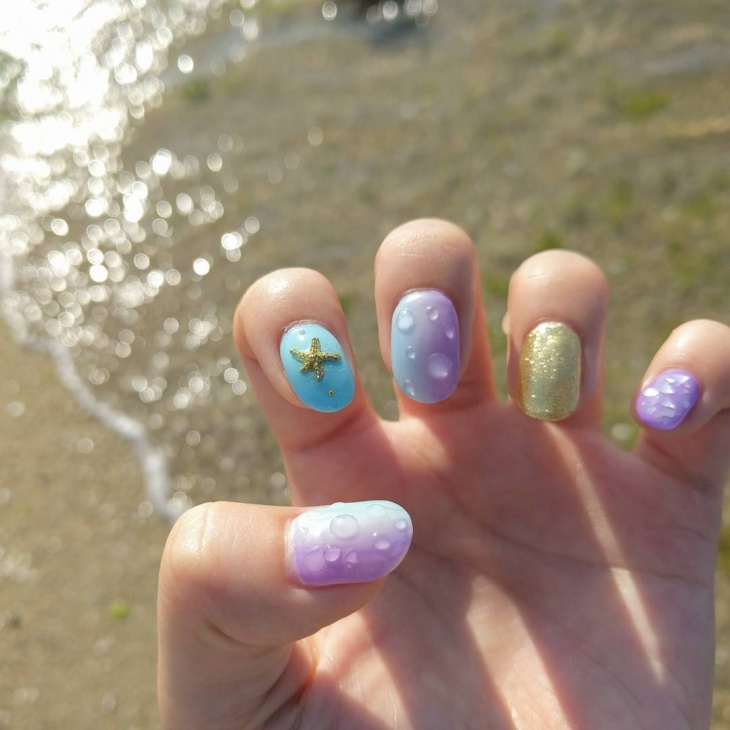 This lovely beach nail art design is gorgeous and again features pastel shades along with a mix of bright colors. 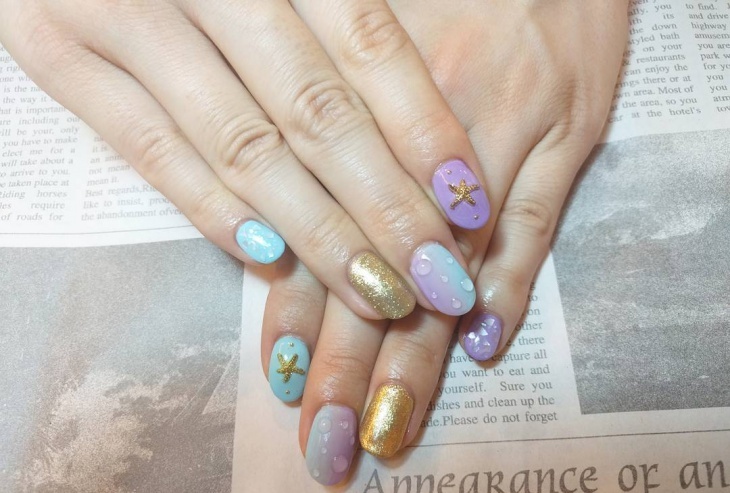 It also features a mini starfish in the index finger in a blue nail backdrop. The water droplets look so real and are totally cool. Well, you don’t necessarily have to grow your nails long for sporting a nail art. 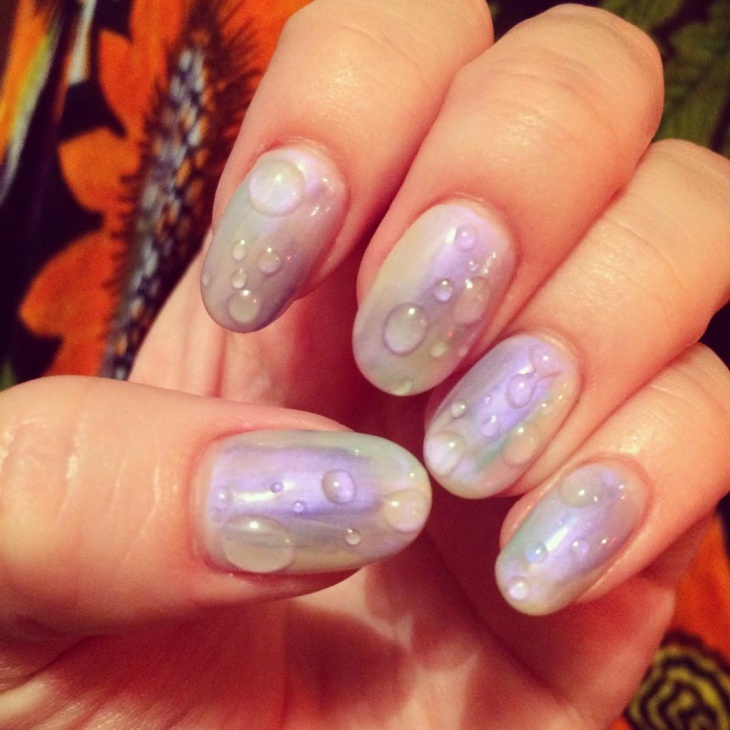 This cool water drop nail drop design proves just that. 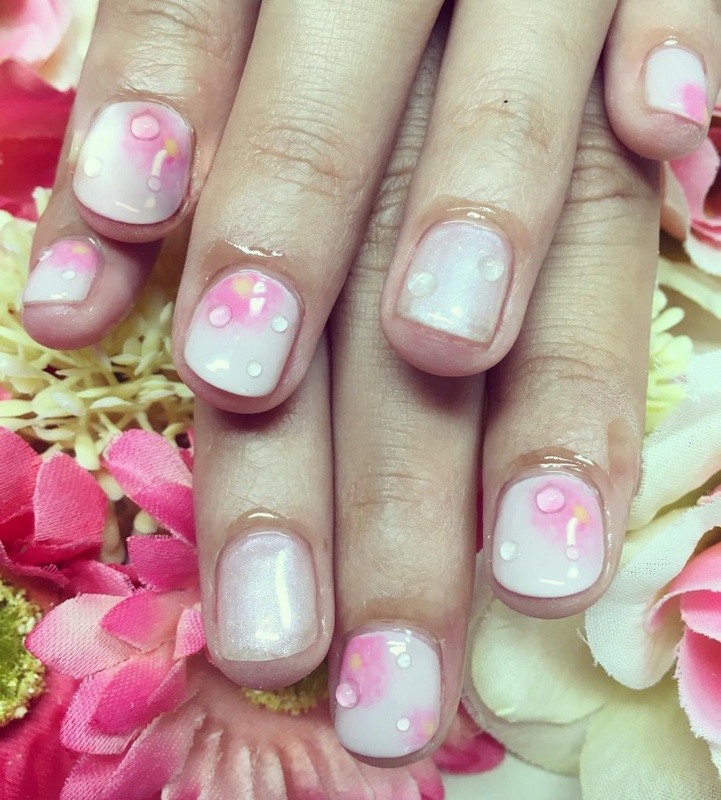 With a floral design in white and pink, these water drops on short nails look so chic and refreshing. These peachy pink nails with a white line and tear drop like droplets above are so soft and sober. 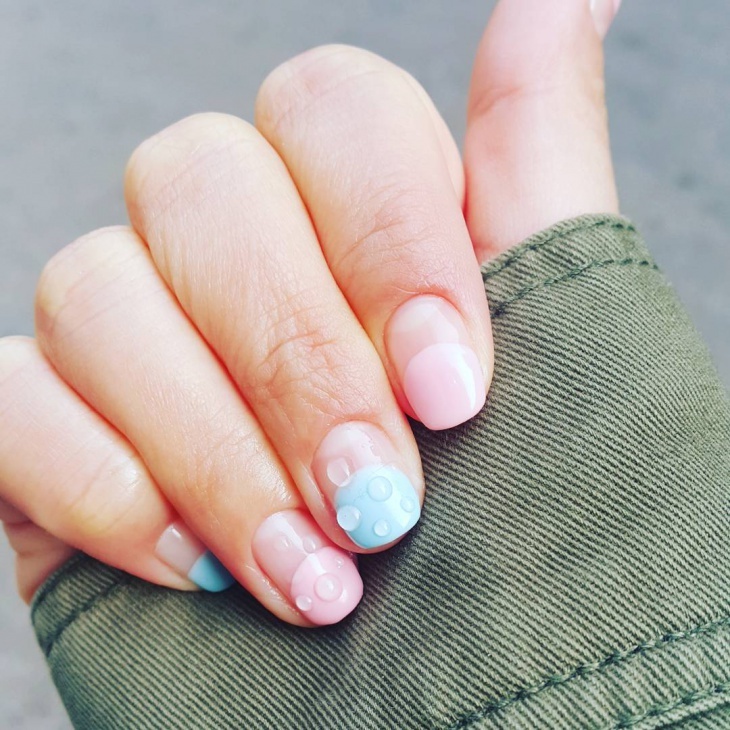 The candy pink shade is absolutely wonderful and brings about soft vibes to this cute nail art design. This is yet another soft nail art design featuring colors like white and peach with water droplet art in it. This nail art design is called as gel water nail design because of the shiny look it carries with itself. This is a stunning matte black and shimmery silver art on which the water drop art has been drawn. No doubt, it is a pretty art on the nails and can sure be a scene stealer when sported with the right outfit! The above nail art designs are incredibly charming. Not only are they beautiful to look at, but they also hold a natural looking finish to it because of the water droplets theme. 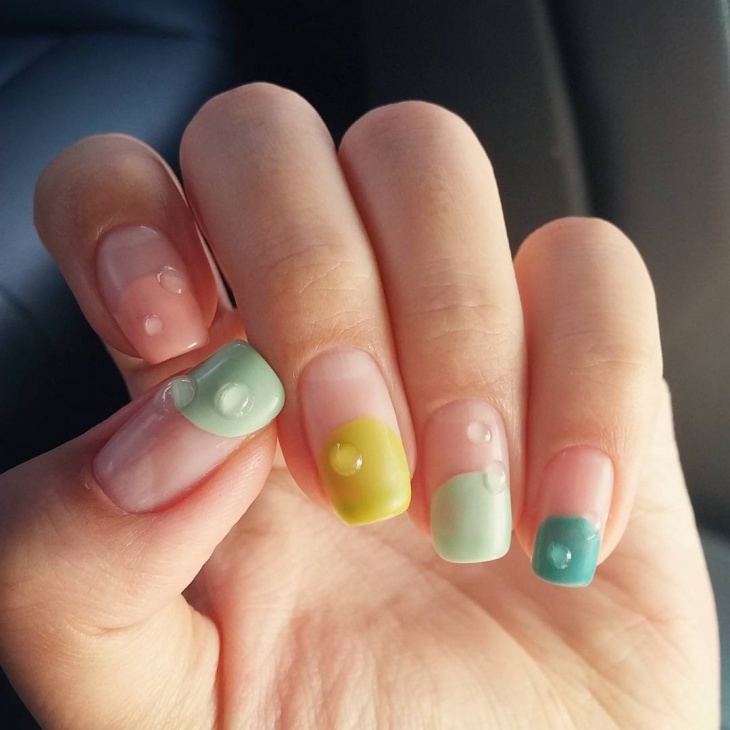 Some of the designs with two toned colors can be done with the sponge nail art techniques as well!